The weak ruble and cheaper services are encouraging more foreigners to venture to the country’s shores, while more Russians are choosing to holiday on home soil. About 81 million tourists made trips across the Russian Federation in 2017. According to Yury Barzykin, the vice president of the Russian Union of Travel Industry, this is the highest number of travelers since the fall of the Soviet Union. Most tourists were Russian - 56.5 million, while the number of foreigners reached 24.5 million. According to the TourStat tourism statistics agency, in 2017 Ukrainians (8.7 million) accounted for the highest number of people journeying to Russia for a good time, followed by Kazakhstan (3.5 million). China is in the third place with 1.4 million tourists. The number of tourists from Southeast and East Asia globetrotting in Russia in 2017 significantly increased compared to 2016: +58 percent from South Korea, +15 percent from China, +20 percent from Japan, +61 percent from Thailand, +19 percent from Vietnam, and +20 percent from India. As TourStat shows, tourist flows from Latin America also increased last year: +30 percent from Brazil, +26 percent from Argentina, and +30 percent from Mexico. As for the U.S., 282,000 people ventured over here, an 18 percent increase on 2016. Finland (about one million), Poland (714,000), and Germany (580,000) lead the way among European countries but it should be noted that 30 percent less Poles came to Russia compared to 2016. The main destinations for Russian and foreign tourists were Moscow, the Krasnodar Region, St. Petersburg, Crimea, Tatarstan, and Golden Ring cities. Why have tourism flows into Russia grown? 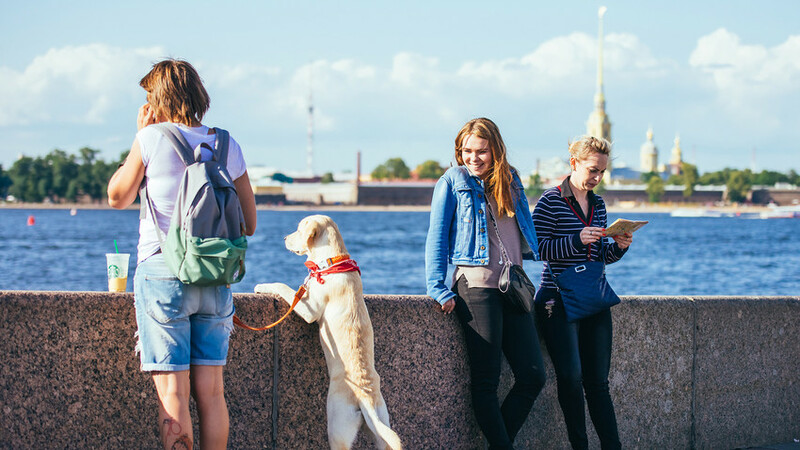 The main reason for the increase in tourist trips in Russia is the weak ruble, Dmitry Gorin, vice president of the Russian Association of Tour Operators said. He says Russian businesses are taking advantage of the situation by offering more “all-inclusive” offers - which have risen by 10 percent, the expert explained. On top of this, more and more Russians are choosing to spend their holidays inside the country. Olga Arkhangelskaya, head of real estate in Russia and other former Soviet states at accountancy firm EY, said 70 percent of Russians polled plan to spend summer vacation on home soil. What is Russia’s most popular city among tourists? Find out here.